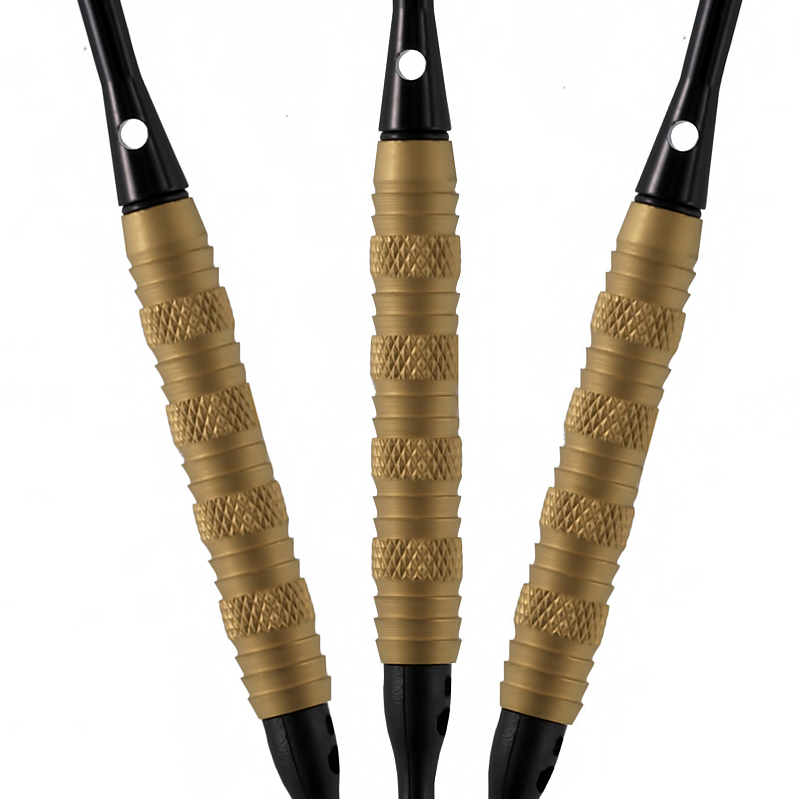 This tungsten dart offers a choice of Black or Gold triple vapor coatings. (Same as used on the Widows.) 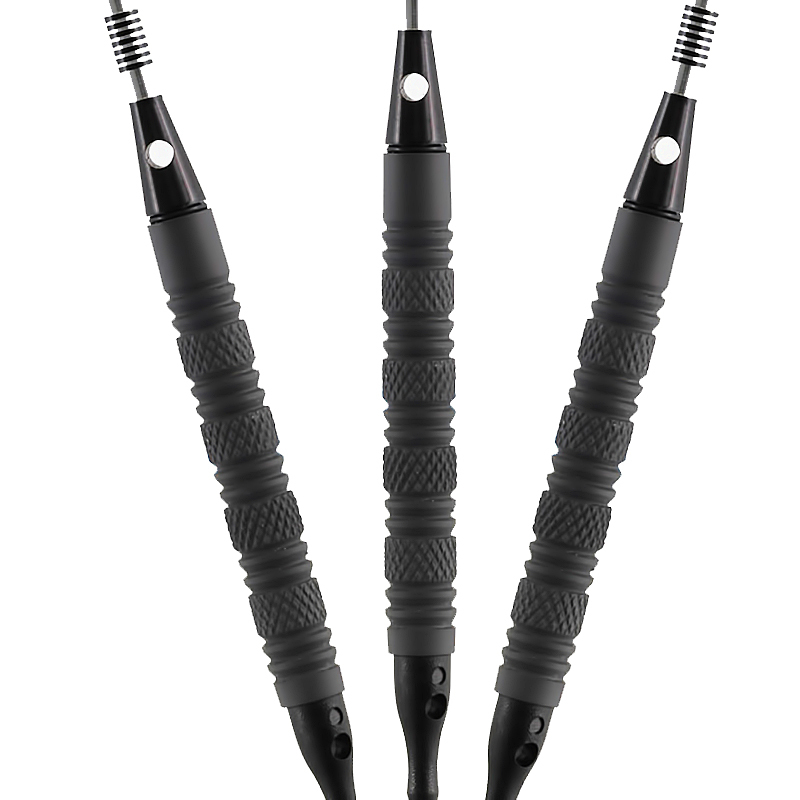 They also feature pyramid faceting and uni-directional grooves for superb grip. The finest center-balanced dart made! Available in 16 & 18 gram weights with 2BA tips. 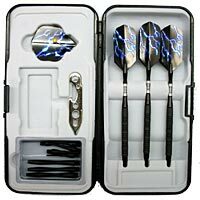 Packaged in a deluxe case with extra flights, shafts, 2BA tips and a dart mechanic tool.